Taking care of your body and being physically fit should be your utmost priority. The fact you just moved into a new area does not mean that you should feel relaxed about keeping fit. And if you&apos;ve slacked already and you need to regain all you&apos;ve lost, then what you need is a fitness boot camp. A good, legitimate, and reputable fitness boot camp is not so difficult to locate if you know what to look out for that will ensure your comfort. Location. Find out if boot camp is near you by asking a work or searching online. Make sure the environment is safe, accessible, and comfortable. A good fitness camp should have plenty of parking space and excellent facilities. Also, find out if the company or trainer that owns the boot camp has legal permission for the location used to avoid unnecessary disturbance. Instructors. Make sure to do thorough research on the instructors. Find out if they have all the necessary qualifications required. In addition to excellent skills, you want them to have the proper attitude. Are they accommodating? Are they helpful? Are they professional instructors? These are essential questions you need to ask yourself. The other participants. It&apos;s better to surround yourself with people who are on the same mission with you as well as those who have the same goal with you so that you can motivate each other. Are they friendly? Are they fun to be around? Are they inspiring? Make sure you join a boot camp that won&apos;t be boring or makes you feel like an outcast. Do they offer nutritional advice? For a person keen on being physically fit, take nutrition seriously. 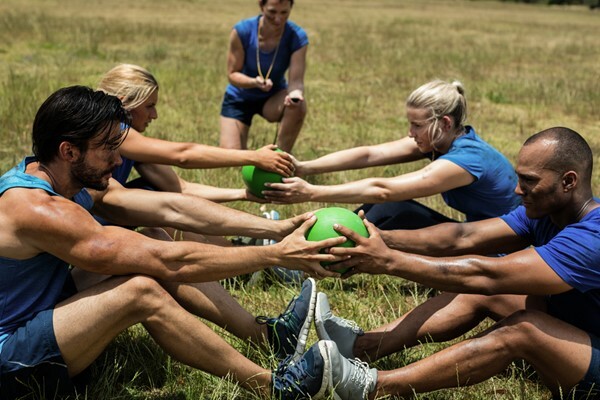 It is vital for an outstanding fitness boot camp to participate in their members’ nutritional understanding to help them achieve their goals. What are your expectations? You need to set your goals before you register for a fitness boot camp. There are different concepts involved in fitness, so seek a camp that aligns with your desires. You need to know your strengths but expect your trainer to push you harder to achieve success. Reviews and Testimonies. If the camp or trainer has a website, you can check for other people&apos;s reviews. Also, talk to people who have had experience with the fitness boot camp you are intending to join to know what to expect before signing up. Motivations. You need to answer these questions in your heart before signing up for any boot camp. Are the members and instructors inspiring? Do they always want to achieve your goal? Do they keep you motivated? Will you get enough positive vibes from them that will make you do more? It&apos;s straightforward to see a fitness boot camp to join; however, locating the best fitness boot camp that will suit your personality should be your priority.